A 500-year-old skeleton was recently discovered by archaeologists in the mud under London's River Thames wearing intact thigh-high leather footwear. The discovery was made by archaeologists in Bermondsey, south London, who were working on London's new "super sewer" Thames Tideway tunnel, which will store and transfer raw sewage that seeps into the Thames. "The Tideway archaeology programme has allowed us to gather really interesting new evidence for how Londoners have used the river throughout history. As we work towards our goal of cleaning up the Thames and reconnecting London with it, it's really important to acknowledge the lessons we can learn from significant discoveries like this," Jack Russell, archaeology lead for Tideway, told Sputnik Tuesday. The skeleton, believed to belong to a man from the 15th or 16th century, was discovered lying in the mud, leather boots still around its legs. 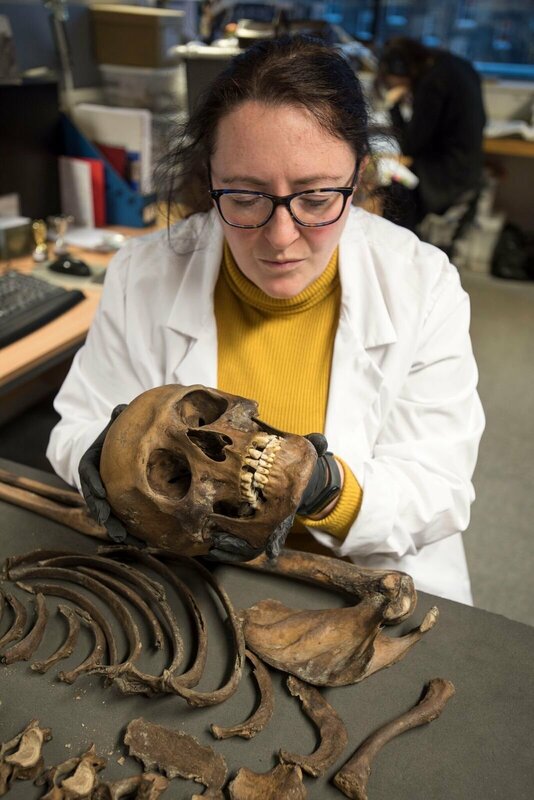 Archaeologists from MOLA Headland Infrastructure, which describes itself on its website as a "consortium bringing together the most successful archaeological companies in the UK," speculate that the man might have been under the age of 35 at the time of his death. "The river was a hazardous place even in the late 15th century, so perhaps his occupation was the cause of his death and the reason he came to be discovered. Could he have been a fisherman, a mudlark or perhaps a sailor? Did he become trapped in the mud and drown?" archaeologists mused in a statement sent to Sputnik. 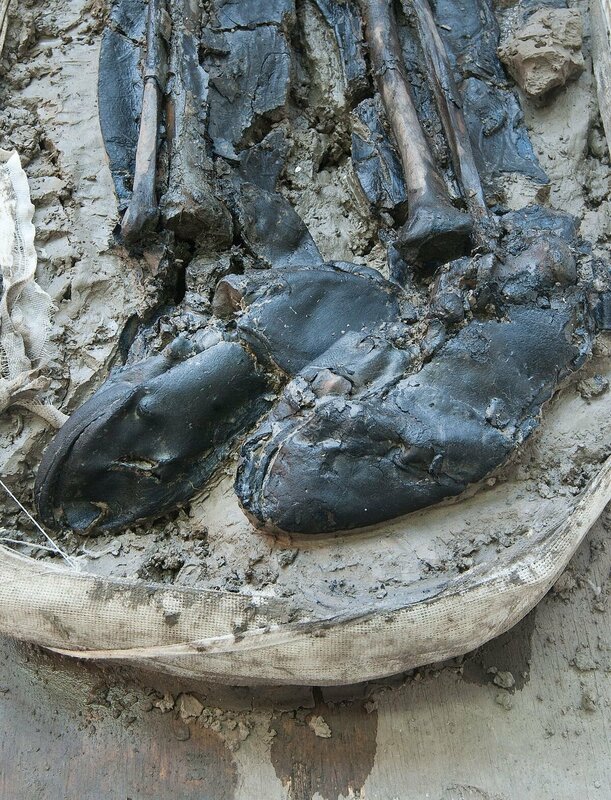 "The discovery has sparked an investigation by a team of our archaeological and osteological experts who are unravelling the mystery of the booted man in the mud." Because leather was expensive during the Tudor period between 1485 and 1603 in England and Wales, it is unlikely that someone would have been buried in such a pricey commodity, according to MOLA Headland, suggesting that the man's death was likely unexpected. "By studying the boots we've been able to gain a fascinating glimpse into the daily life of a man who lived as many as 500 years ago," Beth Richardson, finds specialist at MOLA Headland, told Sputnik Tuesday. Osteological experts from MOLA Headland discovered deep grooves on the skeleton's teeth, which may have been caused by a repetitive action such as "passing rope between his teeth like a fisherman might," MOLA archaeologists told Sputnik. "They have helped us to better understand how he may have made his living in hazardous and difficult conditions, but also how he may have died. It has been a privilege to be able to study something so rare and so personal," they added.